The Steering Committee’s task is to decide upon policy and strategic direction of the Association in the spirit of its overall mission, ist goals and objectives. Professor Joachim James Calleja has been involved in vocational education and training since 2001. He served as Cedefop Director from 2013 to 2018. 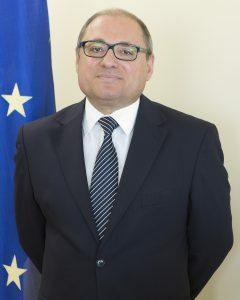 Prior to his appointment as Director of Cedefop he served as Permanent Secretary (State Secretary) of the Ministry of Education and Employment (2011-2013) in his native Malta. EfVET DK has a board of 7 members with representatives from all VET sectors. The board meets regularly in ordinary meeting og via skype or e-mail. The board supports the representative in tasks for EfVET and makes sure that all DK members are heard and we try to involve members when possible. At home Vibeke ha a position as “Head of International Relations”, Technical Education Copenhagen (www.tec.dk) and she is also a member of Executive Committee EfVET (www.efvet.org) with focus on membership. Currently Vibeke is engaged in projects on a European level, which are focusing on developing co-operation between labour market, VET providers and social partners. Another area is designing models for systematic export of European VET programmes. Vibeke has been involved in developing quality and internationalization in VET education in Denmark and in Europe for more than 15 years and holds a master in German, MPA in Project management and BA degrees in VET career counseling, Psychology and Teacher Education. Paulius Čepas (born February 15, 1980, Kaunas, Lithuania) is the director of Kaunas technical vocational education centre and a scholar awarded the PhD in social sciences. Studied psychology (B.A., 2001 and M.A., 2003) and education sciences at Vytautas Magnus University where he earned his PhD degree by successfully defending the dissertation “Modelling of the development of the employability competency in vocational education and training” in 2008. Started career as a vocational education teacher in 1999, later becoming the Head of vocational education department at Public institution Kaunas Vocational Training Centre for Service Business Specialists, since 2012 worked as the director in vocational school of mechanics, and 2016 Dr. Čepas has been elected as the director of Kaunas Technical Vocational Education Centre. Dr. Paulius Čepas has been actively involved in the initiation and implementation of programmes of initial and continuing vocational education and training matching the demand of the labour market as well as the application of the European credit system for vocational education and training (ECVET) in the vocational education system of Lithuania employing his experience as a national expert of ECVET. Dr. Čepas has been an active member of Lithuanian academic society, the fields of his interest being vocational education and training, employability, development of organizations and psychology. He publishes research articles and participates in more than 10 conferences and trainings annually in the field of vocational education, broadening his experience in the training programmes completed in Poland, Austria, Belgium, Hungary, Belarus and Germany (2014-2018). Marloes de Vries has started as a Member of the Executive Board and Vice president at Zadkine VET college in Rotterdam (The Netherlands) since November 2018. She has transferred from Da Vinci College (VET award winner) to Zadkine in the city of Rotterdam. She has a degree in the English language and History and she did a master study in change management as well. Her main focus is on ( the future of) education, internationalization, adult education, life long learning, technology and business education with regard to vocational education of Zadkine. The college offers more than 150 educational courses for her 17.000 students. In June 2016 Marloes started as Dutch representative of the steering committee EfVET of The Netherlands. Together with the committee members, the Dutch national committee for vocational education sets targets to ensure more students and teachers will be offered the possibility to acquire international traineeships. Cooperation with our EfVET members is of great value to our education. On a national level Marloes participates in the VET board for Internationalization in order to prepare policy proposals for the ministry of education. As a steering committee member Marloes will focus on organizational and strategic improvement in order to have EfVET members profit from this as well as connecting people in their field of interest. Was born in Juncal do campo, castelo branco, PORTUGAL IN 1953. He is the Executive Director of ANESPO – National Association of Professional Schools (Portugal), a member of the board of the Setubal Professional School and a member of the Steering Committee of EFVET – European Forum of Technical and Vocational Education and Training. He is also member of the Steering Committee of Lifelong Learning Platform – European Civil Society for Education (LLLPlatform) and the representative in the European Qualifications Framework Advisory Group (EQF AG). 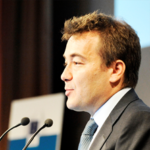 Since 2007 he is the Portuguese Focal Point for the European Globalization Adjustment Found (EGF). Holds a Master Degree in Sociology with a major in Work and Organizations, completed with a Top Management in Public Administration by the National Institute for Public Administration. He is also a National Defense Auditor, graduated by the National Defense Institute. In the field of education and training, he is currently working in the areas of skills anticipation and matching, curriculum inovation, transition from school to active life and early school leaving. Between 1985 and 2000, he worked for CGTP, as Director of the Training Center and member of the board of the Bento de Jesus Caraça Professional School. He was a member of the board of the Inovation in Training Institute (INOFOR) and of the Portuguese Institute for Management of ESF (IGFSE) and a key expert for ESF management and implementation in Romania. 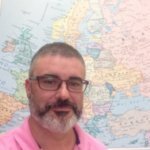 I am Jon Harding, the UK national representative in the EfVET Steering Group Committee. My education consist of a degree in Education and Training. I work as an External Funding & Bid Manager for European projects at Bridgwater College. The College has an excellent reputation both regionally and nationally as a highly successful provider of education and training. I have over 18 years’ experience of vocational teaching and training across all levels of education. My current role has been to develop European projects for all sectors across college. EfVET membership has been very positive on the enhancement of our European vocational education practices. We have found many new projects and partners through are affiliation with EfVET. Since 2002 he has been a Member of Executive Committee of EfVET. Leif Haar has a Master in History from the University of Aarhus, Denmark in 1980. 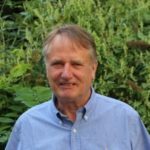 He has worked as a teacher in German, History and Social Science at the VET college in Vejen, Denmark and was appointed Vice principal in 1984. In 1992 he became vice principal at Tietgen Business College in Odense. From 2007 until 2012, he was principal at Niels Brock, Copenhagen Business College. During those years he was involved in the development of professional/VET courses for enterprises in Denmark and projects within international cooperation with colleges and universities in Europe and the US. Leif Haar has been involved both as a partner and coordinator in European funded projects and programmes. He has long experience in national and international project management, programme design and implementation. 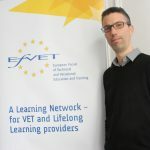 He is responsible for the preparation and content of the quarterly EfVET magazine to members and stakeholders throughout Europe and the annual EfVET conference. Stefano Tirati graduated in educational sciences at University of Florence, where he has worked for 3 years, after attending a post-graduate course in Human Resources Management, at Middlesex University in London. From 1995 till 2016 he has directed CSCS, a vocational training centre implementing IVET, apprenticeships, CVET, vocational guidance, entrepreneurial support. Since 1995, Stefano has lead several research and pilot projects, with a local, regional, national or international dimension. He has been responsible for establishing, nurturing and further expanding partnerships involving a wide range of stakeholders: local VET providers, SMEs and multinational businesses, public authorities, research centres, chambers of commerce, social partners. 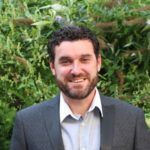 In 2016 Stefano launched a new startup, Learningdigital.eu, supporting corporate and educational providers to manage learning processes in digital environments. Liisa Metsola isEfVET treasurer. 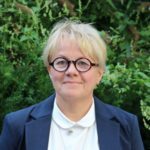 She holds a Master’s degree in English Philology from Jyväskylä University; special needs teacher degree from Häme University of Applied Sciences and an MBA in Educational Leadership from Jyväskylä University. She works as a development director at Invalidisäätiö (Vocational College Live) in Helsinki. She is in charge of the student support services; international affairs; both national and international project activities; quality issues; staff development and marketing and communication. She is a member of the college’s executive team. She has over 25 years experience in vocational special needs education and she is a specialist in competence based qualifications. She has extensive experience in various EU-project activities since 1995. She is a member of the international group of the Finnish Association for the Development of Vocational Education and Training AMKE. Dr. Andreas Loizou is the Automotive Technology Coordinator and Lecturer at Intercollege Nicosia since 2014. He is responsible for the academic courses and professional training coordination. He is also a member of Intercollege’s Internal Quality Assurance Committee. Andreas received an Automotive Engineering degree from the University of Huddersfield, and a Masters in Vehicle Technology & Management from the University of Bradford (UK). He then pursued a PhD at the same university (2012), funded by IMechE, UK. After his PhD studies, he worked as a post-doc for EU projects at Frederick University in Cyprus for two years, where he also taught as a visiting lecturer. Andreas is also involved in several Erasmus+ projects regarding the ECVET framework and has participated in seminars concerning vocational training. One example is the project ECVET Permit (2015-2016) which aimed for the permeability and transferability from non-formal to formal education and training system in the subject of automotive. Speaking fluently the English and Italian language and having the basic knowledge in Spanish and German language he is the National Representative of EfVET in Greece since the end of 2013. 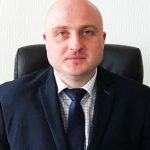 Tibor Dőri is the director of Euro-Contact Business School (higher VET provider offering professional qualifications and MBA), the formal sole partner of OUBS UK since 1989. He was a tutor of OUBS UK in Hungary at HR, marketing, change and strategy management. He has taught senior and top managers for 25 years using ICT supported distance teaching. Coach, trainer and senior consultant in strategy, organisational development, change management and marketing. He represented Hungary in the board of EADTU (European Association of Distance Teaching Universities) between 2005 and 2010. Founder of Hungarian Virtual University Network. Expert of adult education, e-learning, supported distance education, corporate university, dual education. He is currently responsible for i) continuous development of 3200 Hungarian math and science elementary and secondary teachers of 1300 schools in Hungary to use ICT/GeoGebra/digital tools and gamification in the classroom teaching; ii) developing and running a virtual social network and knowledge sharing community of the STEAM teachers and headmasters; iii) running leadership and OD workshops/training for the headmasters about transferring the schools into innovative learning organisation. Kari Puumalainen is the director of Ylä-Savo Municipal Federation of Ecucation and also the principal of Ylä-Savo Vocational College. He has worked over 20 years in different positions in development and management of vocational education. He has worked in several national and European level projects as a project leader or member of steering groups. Formerly he has worked as the development director of Upper Savo Development Company Ltd where his responsibility among other things was to activate the use of different Structural Funds programmes in the Region of Ylä-Savo. Kari Puumalainen has a master’s degree in philosophy (M.Sc.) from the University of Eastern Finland. His majors were computer science, business economics and vocational education He is specialized in vocational education and training and the role of VET in regional development and economic strength of enterprises. Kari Puumalainen is a Finnish representative in the EFVET Steering Comittee since October 2016. I am Alfredo Garmendia, Head of the International Projects Department of Centro San Viator, where I have been working for the last 17 years, and from November 2016 I am a member of the Steering Committee-SP. I have a master degree (EQF 7) in Anglo-Germanic studies. For the last 15 years I have combined my job as project manager with teaching to young students who are at risk of exclusion, so somehow I work mixing two of my passions. From our department we lead different initiatives into Erasmus+ – School Education, VET and Higher Education – and others, such as European Social Funds, etc. Our long experience in EU projects has been determining to establish solid networks in the fields of Self-propelled Vehicles and Third Sector (people at risk of exclusion). Along the years I have learnt to listen, to be more empathic and to work with others no matter the cultural differences, something that has enriched me as a person.